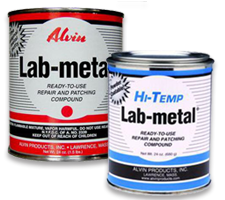 Repairing, patching or filling metal surfaces can be accomplished using metal putty. Once hardened it can be milled, drilled, tapped, sawed, filed or sanded. Shop Weldfabulous for metal putty products from Bessey.